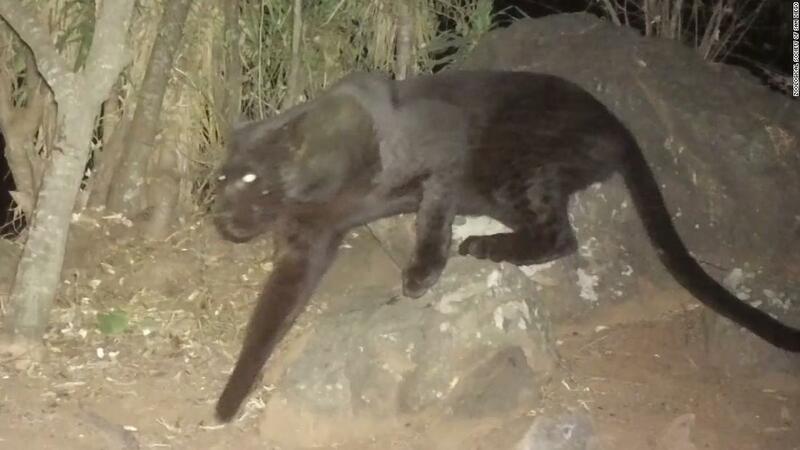 (CNN) The elusive African black leopard is alive and well and living in Kenya — and there are new pictures to prove it. 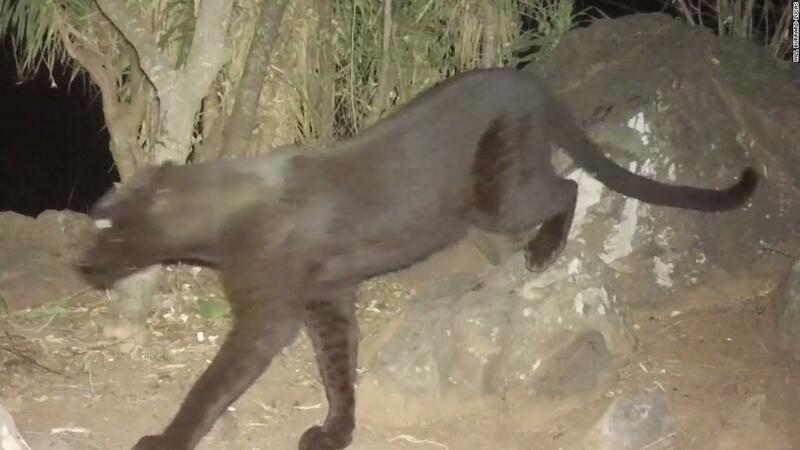 While there have been previous reports of sightings of black leopards in Africa — they’re also known as black panthers — the new images offer important confirmation. 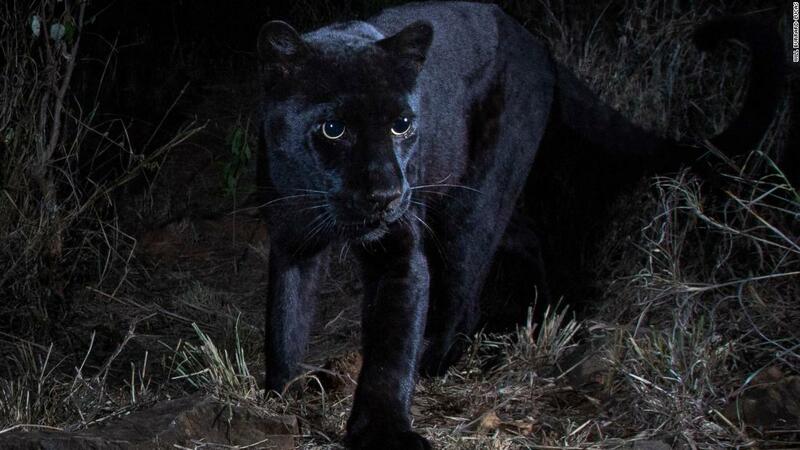 “It is likely that black leopards have been living in Kenya all along, it is only that high-quality imagery to confirm it has been missing until now,” said Pilfold. “Prior to the observations in our published paper, the last confirmed observation (in the published record) was 1909 in Ethiopia,” he said. The leopard’s coat is pitch black as a result of melanism, a gene mutation that causes an over-production of pigment, said Pilfold. It’s the opposite of albinism — and although the leopard’s coat appears black during the day, its rosette patterns are visible in nighttime infrared imagery. “Melanism occurs in about 11% of leopards globally, but most of these leopards live in South East Asia,” said Pilfold. Ambrose Letolulai, a local leopard conservationist who was part of the project, was speaking with the community as part of efforts to better understand the human wildlife conflict. 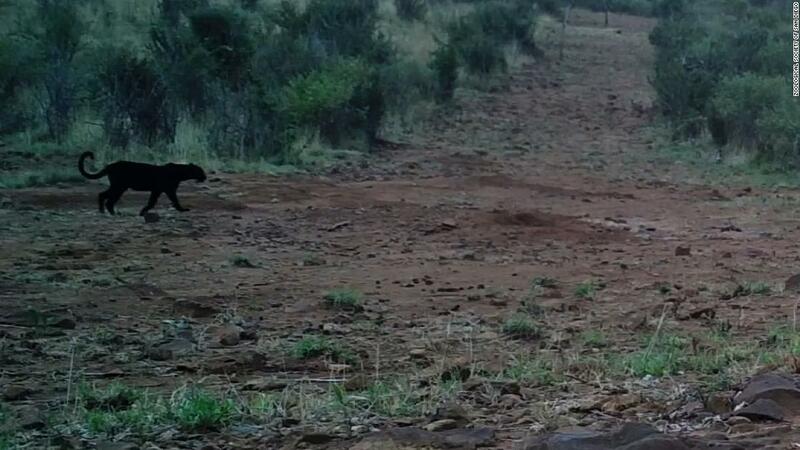 In one conversation in September, he interviewed an elder who told him about the challenges they were facing with ordinary leopards killing livestock in the region. 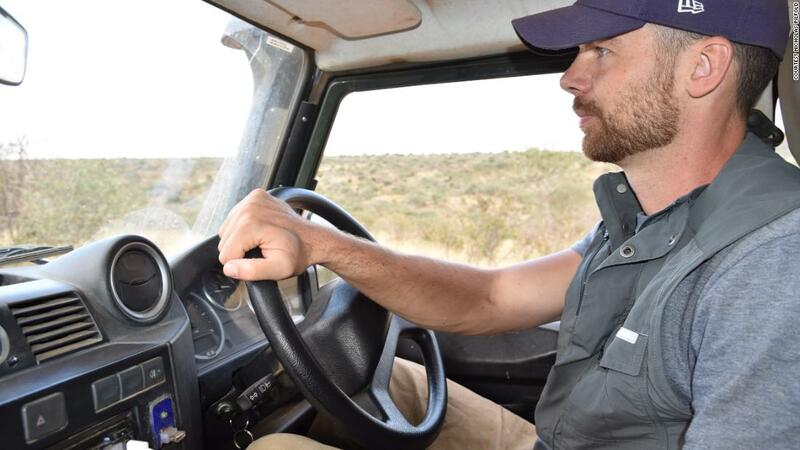 The elder told him he had seen a black leopard, which he said are known in the Samburu language as “calf killers.” The team then set up a camera trap in that location. Kahumbu congratulated Letoluai for helping spearhead the international project. “I … hope it inspires a new generation of Kenyan wildlife scientists,” she said. CORRECTION: The story has been updated to correct the spelling of conservationist Ambrose Letoluai’s last name and to update a quote attributed to Letoluai to clarify the source of the information. An earlier version of this story contained a quote incorrectly attributed to Paula Kahumbu. It has been removed.